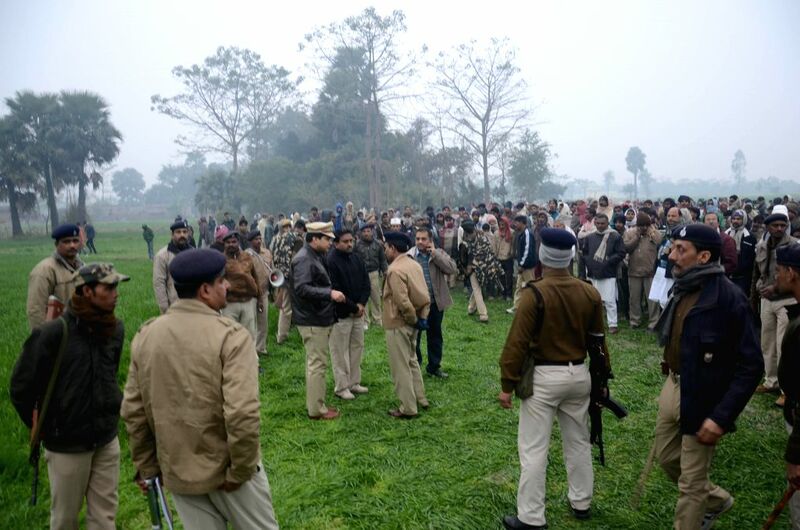 Muzaffarpur: A police team visits the violence hit Ajitpur Bahilwara village of Bihar's Muzaffarpur district a day after three people were burnt to death and 10 were injured when a mob torched over three dozen houses, on Jan 19, 2015. 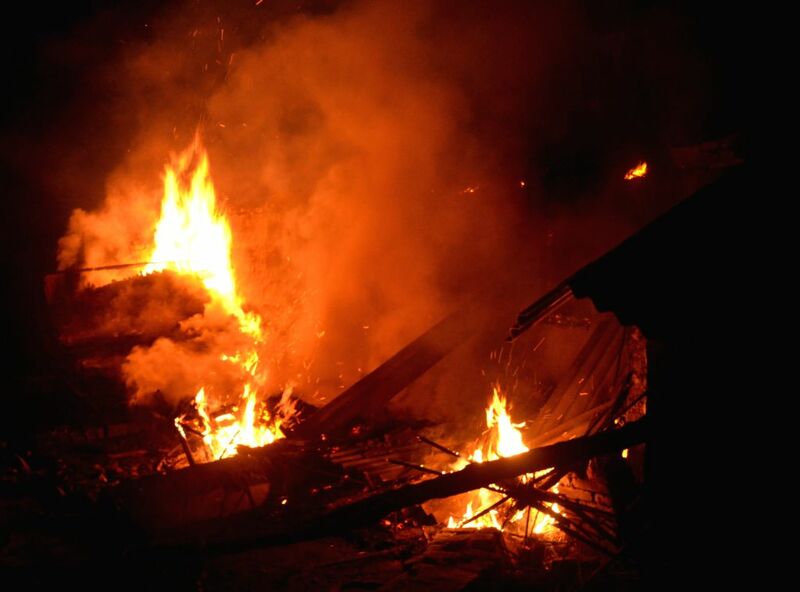 The incident was followed after the body of a 20-year-old Hindu boy was recovered Sunday. He was allegedly abducted and killed for his love affair with a girl from another community. 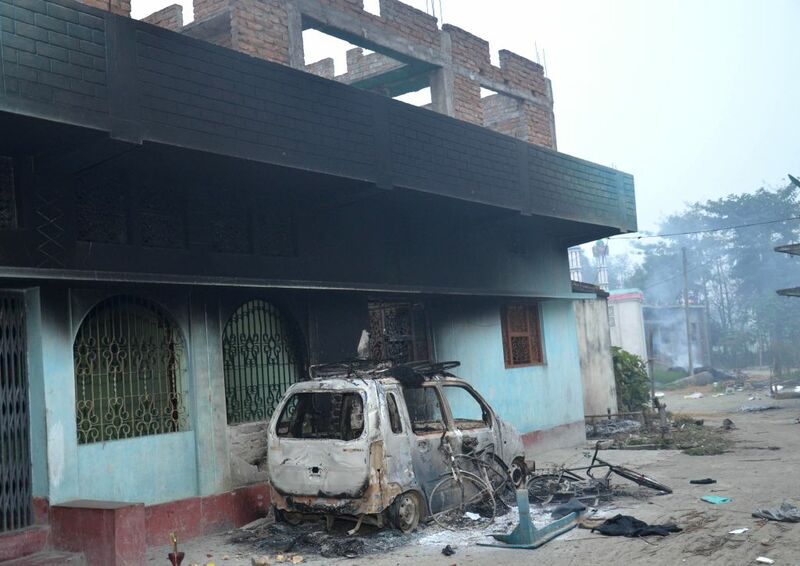 Torched houses in violence hit Ajitpur Bahilwara village of Bihar's Muzaffarpur district a day after three people were burnt to death and 10 were injured when a mob torched over three dozen houses, on Jan 19, 2015. 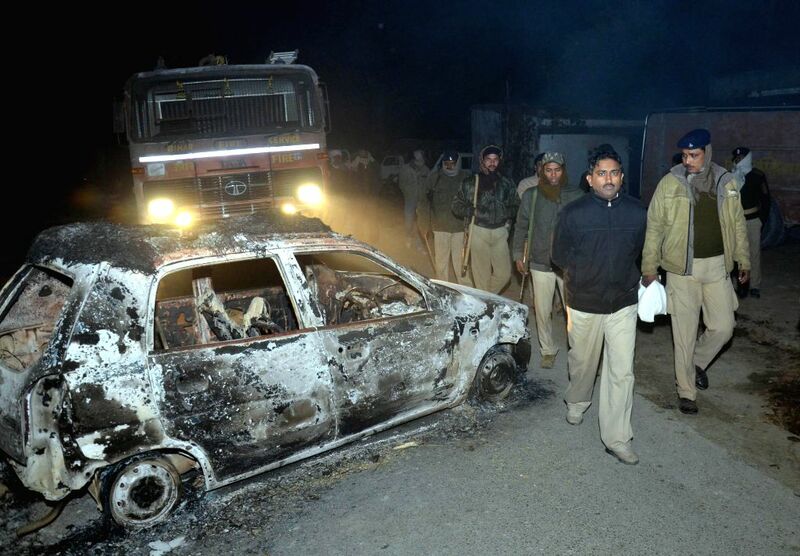 The charred remains of a car in violence hit Ajitpur Bahilwara village of Bihar's Muzaffarpur district a day after three people were burnt to death and 10 were injured when a mob torched over three dozen houses, on Jan 19, 2015.